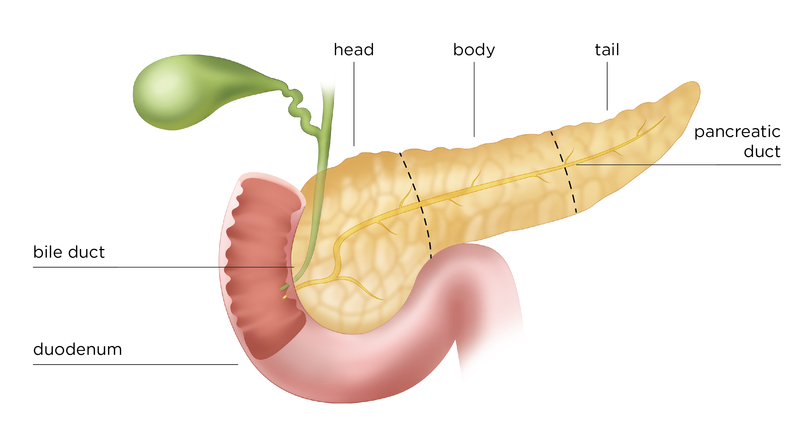 The pancreas is an organ that is about 6 inches long. It’s located deep in your belly between your stomach and backbone in the upper part of your abdomen. Your liver, intestine, spleen and stomach surround your pancreas. The pancreas makes pancreatic juices. These juices contain enzymes that help break down and digest food. 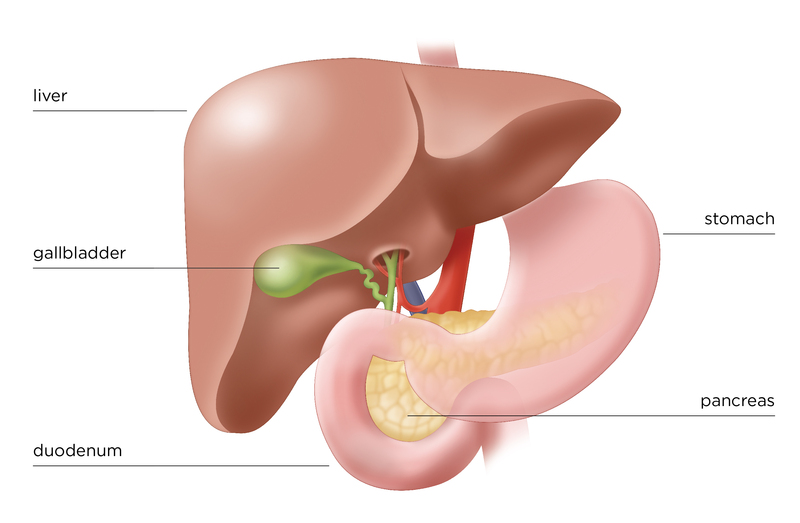 The juices flow through a system of ducts leading to the main pancreatic duct. The pancreatic juices flow through the main duct to the duodenum, the first part of the small intestine. Pancreatic cancer occurs when there is an uncontrolled growth of abnormal cells in the pancreas, which often begins in the pancreatic ducts. The exact cause of pancreatic cancer is still largely unknown, but certain factors are known to increase the risk. They include increasing age, male gender, cigarette smoking, high fat diet, diabetes, and a family history of the disease in close relatives.